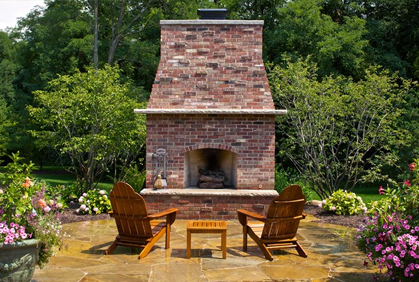 Fire pits can be installed in virtually any area of your yard including and above ground pool deck, patio, or the lawn. Fire pits are great accessories to any backyard because they create a cozy, peaceful atmosphere for the area and can be used as a simple decorative element or serve a more functional purpose a heater for when the temperature drops, or a place to cook food. The most popular 2017 backyard pool landscape designs incorporate materials or plants that will not be damaged by the excess water and chemicals that are common among outdoor pools. 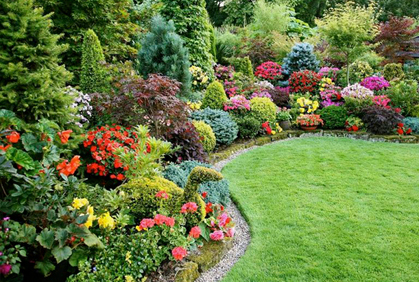 Before you begin, consider planting flowers a few feet away from the water edge to ensure that they are not damaged by the chlorine from the pool. Depending on your experience, a deck can be built on your own or you can hire a professional to help with the installation. Finding the best wood for decks can be simple for surfaces level with the ground and taking on more elaborate designs such as a two story, screened in space. Patios tend to have simpler designs and are essentially a squared off area of the yard covered with cement, brick, pavers, or stone. Custom patio ideas are easier DIY projects to take on than a deck, however, both are projects that can be completed by the experienced homeowner. Common features of the all popular 2019 backyard design ideas is the addition of a hardscape, or paved area to the yard. 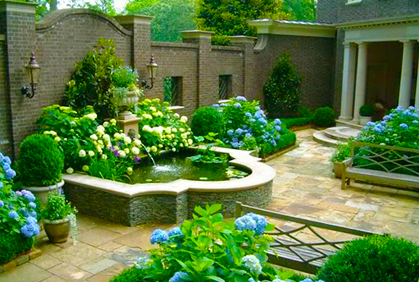 There are many beautiful landscaping ideas to choose from including patios, sidewalks, walkways, and pool decks. A deck and patio can be the most popular features of a backyard because they offer a clean space for you and your family to enjoy meals outside as well as entertain guests outdoors without worrying about walking through mud, dirt, and grass. How to build a backyard deck and patio will depend on the size of your yard and the materials you would like to use. 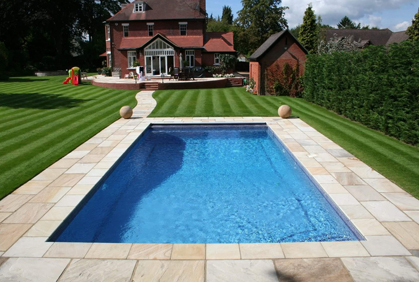 In 2017, the most popular swimming pool designs can be incorporated into big or small back yard landscaping designs and can be either in-ground or above ground in style. 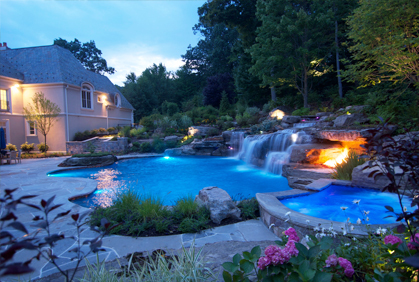 When planning the landscaping your backyard, consider the type and color of your pool as well as the style of your home. 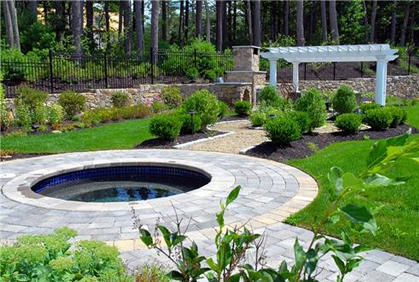 Pool landscape ideas include creating a patio around the area, installing a fence encompassing the pool, and planting shrubs and bushes along the edges of the pool deck to create a colorful space. Patios are a great addition to in-ground pools as they extend the function of the pool by creating a surface for furniture and tables to entertain guests or enjoy some time in the sun. For those pools that are above ground, raised decks surrounding the area is a better option. Deck design ideas are most commonly constructed from wood and are built as extensions of the home and connected to the house near common areas such as the kitchen.